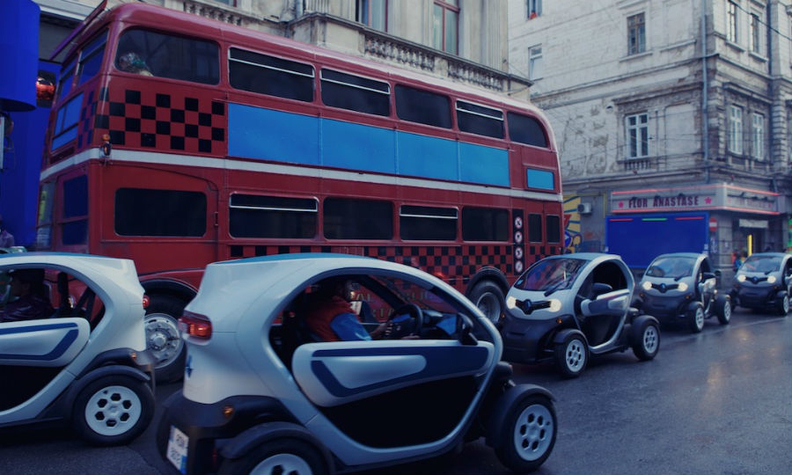 In the movie The Zero Theorem, the Renault Twizy is the preferred transport in a future London. PSA/Peugeot-Citroen and Renault are taking a battering in their slumping French domestic market, but globally the automakers are getting a big marketing boost from Hollywood's film industry. Both companies have cars starring in new movies screened in cinemas across the world. The spy thriller 3 Days to Kill has many scenes of the Peugeot RCZ R and 208 GTi cars racing through the streets of Paris as the film's main character, played by Kevin Costner, hunts down terrorists as a freelance hitman for the CIA. Peugeot says the movie portrays the brand as very Parisian and stylish. In the science fiction movie, The Zero Theorem, Renault's Twizy, a scooter-like two-seat EV, has become the preferential mode of transport in a future London. Renault is promoting its link to the movie on its television channel and Peugeot launched an ad campaign this week in France to draw potential customers into Peugeot dealerships for test drives. It also offers participants of a 3 Days to Kill trivia contest on its Web site the chance to win movie tickets, a weekend trip and a Peugeot bicycle.